Theft of electronic bicycles in the Netherlands has become a significant issue in recent years. Now, a new track and trace security solution developed by G4S and AXA has made it a lot harder for thieves to get away with it. The popularity of electronic bicycles (e-bikes) has seen a remarkable rise in recent years, with around 34 million e-bikes sold worldwide in 2017. China is by far the largest market for e-bikes, accounting for over 32 million of those sold in 2017, but people in Europe and North America are now buying them in increasing numbers. In the Netherlands close to a million new bicycles of all types are sold every year. Five years ago e-bikes accounted for a tiny percentage of total bike sales, but now around 400,000 of the bikes sold each year are electronic. The invention of new high speed e-bikes, capable of speeds of up to 45 km/h, is expected to lead to an even bigger increase in their use, with some predicting they will replace the use of cars in major cities within the next couple of years. 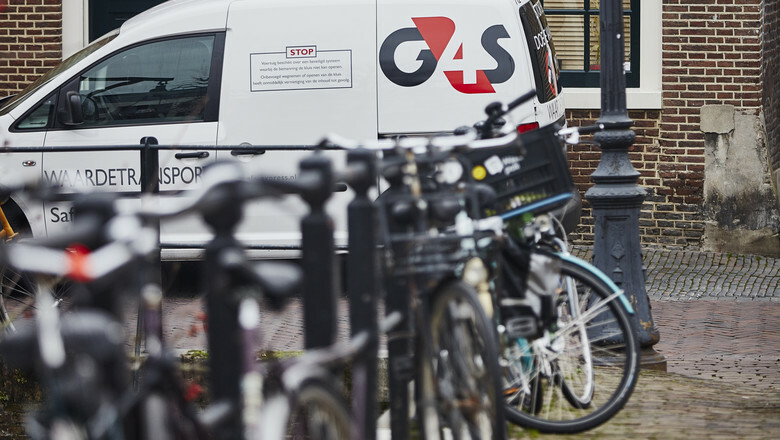 “For e-bike owners in the Netherlands, insurance has become a real issue in the last couple of years” said Corinne Eeken, who oversees the project for G4S Monitoring & Patrol. “Thefts of e-bikes are so frequent that it has become very expensive to insure them, and most insurance providers won’t insure the e-bike at all in major cities such as Amsterdam, Rotterdam and The Hague. There was a clear need to come up with a solution to make e-bikes more difficult and risky to steal, and that is exactly what we’ve created with AXA”. In partnership with the e-bike manufacturer Sparta, thousands of e-bikes in the Netherlands are now being secured by the innovative AXA-IN track and trace security solution. A device is hardwired into the e-bike which sends out a GPS signal of the e-bike location if it is reported stolen. As soon as the owner discovers that the e-bike has been taken, they can report it via the AXA-IN app on their smartphone. This alert goes through to the G4S control room in Amsterdam which can locate the e-bike via the GPS signal and work with the police to bring it back to its rightful owner. The solution goes further than just locating e-bikes after they are stolen. With the agreement of the bike’s owner, G4S can use the device to put in place an “electronic fence” around the bike when it is parked, which sends an automatic alert to the control centre if it unexpectedly moves, falls over or is removed from the indicated area.